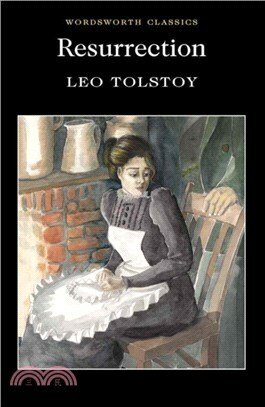 This powerful novel, Tolstoy’s third major masterpiece, after War and Peace and Anna Karenina, begins with a courtroom drama (the finest in Russian literature) all the more stunning for being based on a real-life event. Dmitri Nekhlyudov, called to jury service, is astonished to see in the dock, charged with murder, a young woman whom he once seduced, propelling her into prostitution. She is found guilty on a technicality, and he determines to overturn the verdict. This pitches him into a hellish labyrinth of Russian courts, prisons and bureaucracy, in which the author loses no opportunity for satire and bitter criticism of a state system (not confined to that country) of cruelty and injustice. This is Dickens for grown-ups, involving a hundred characters, Crime and Punishment brought forward half a century. With unforgettable set-pieces of sexual passion, conflict and social injustice, Resurrection proceeds from brothel to court-room, stinking cells to offices of state, luxury apartments to filthy life in Siberia. The ultimate crisis of moral responsibility embroils not only the famous author and his hero, but also you and me. Can we help resolve the eternal issues of law and imprisonment?